On a related note, you must learn to recognize everyone by their hats and puffy coats because you can’t really see faces. You need boots that are in a whole different league, preferably made of moose skin. The long fur coats you inherited from your grandmother stop looking like a politically incorrect bit of fashion history and instead look like an extremely reasonable and adaptive way of dressing. Also, all meals become slow-cooked stews. Definitely not salads. And yet, I couldn’t help myself from sharing this one with you in spite of the weather because it’s become such a favorite. For the most part in my kitchen, salads are creatures of whim, not foresight. They are Macgyvered, not planned. I compose them from whatever I find when I take a look at what I have that could be tossed with dressing. In spring this may be young greens and radishes, or peas with dill and feta. Midsummer salads become wild tangles of lettuces and berries and cucumbers and herbs and summer squash and corn and peaches, and, and, and. Towards summer’s end salads are tomatoes garnished with more tomatoes. When winter reaches its deepest chill, I like to combine any leftover roasted vegetables I have with thinly sliced kale or cabbage or other hearty greens. This salad did come about basically the same way, that is by happy accident. But it hit the spot so perfectly in the bullseye that I have since started buying the ingredients specifically to make it again. Which is truly something. This salad follows the formula that many of the most satisfying salads do, something fresh, something sweet, something salty, something crunchy, something soft, something juicy. 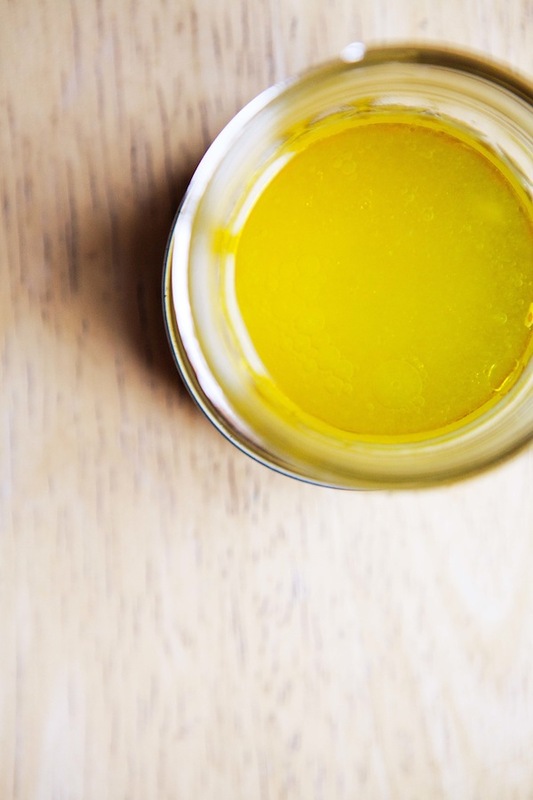 A lemon-maple dressing, equal parts syrupy, acidic, floral, and grassy, (and 100% sunny yellow) pulls together all these opposing parts into something unified and glorious (and so pretty!). Something which you’ll want to be sure you prepare in double or even triple quantities so you can have it again tomorrow. Even if it’s still cold enough to freeze your nose off. Heat your oven to 425F. 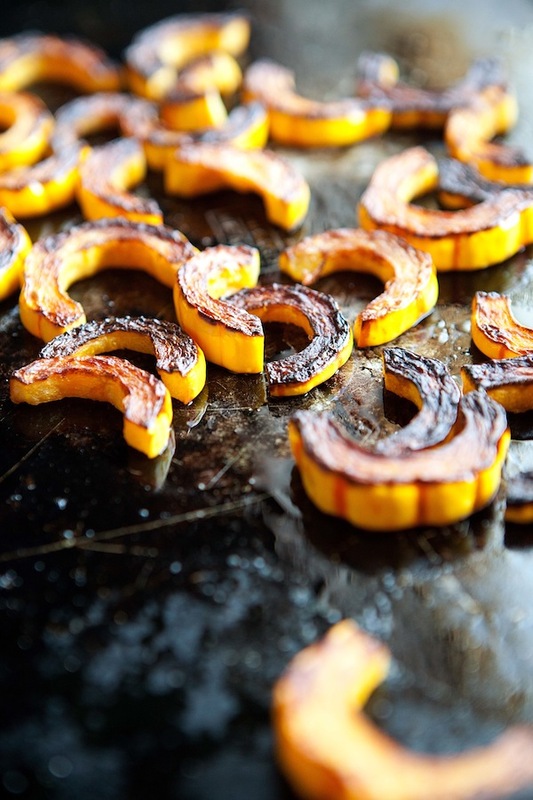 Wash and halve the delicata squash lengthwise and use a spoon to scrape out the seeds. 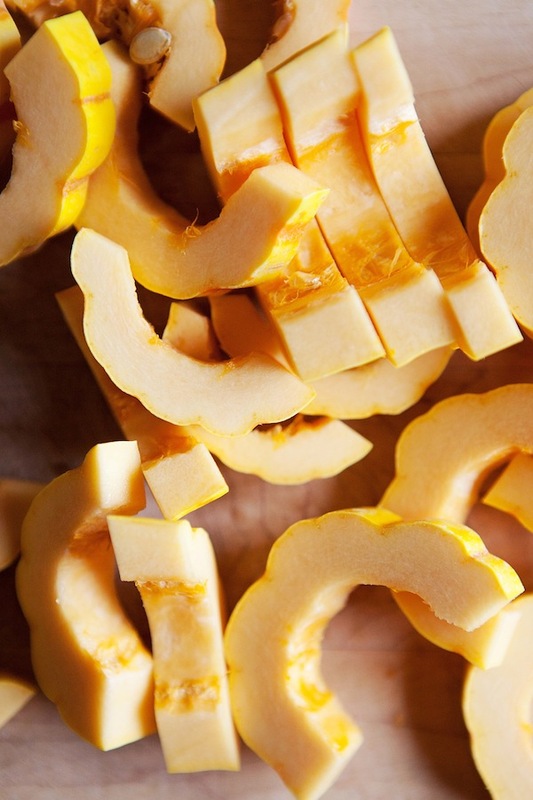 Cut each squash half into lots of little half moons, a bit over a quarter-inch thick. 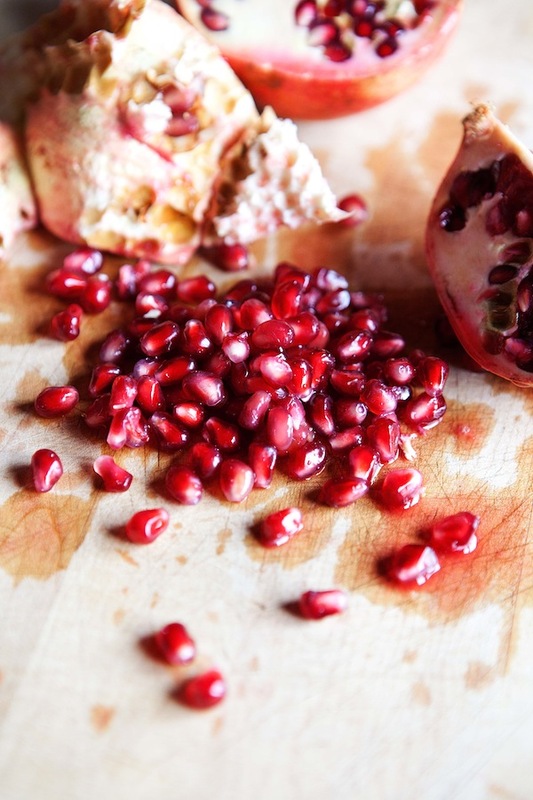 Toss them with some olive oil and salt and spread them in a single layer on a baking sheet. Bake, flipping halfway through, until they are caramelized and tender, about 20 minutes. While the squash is roasting, put the pine nuts in a separate baking dish and pop them in the oven for just about 5-8 minutes, until they are golden and fragrant. While they are cooling, whisk together the lemon juice, 3 Tbs. olive oil, maple syrup and pinch of salt. Then toss the squash with about 1/3 of this dressing. 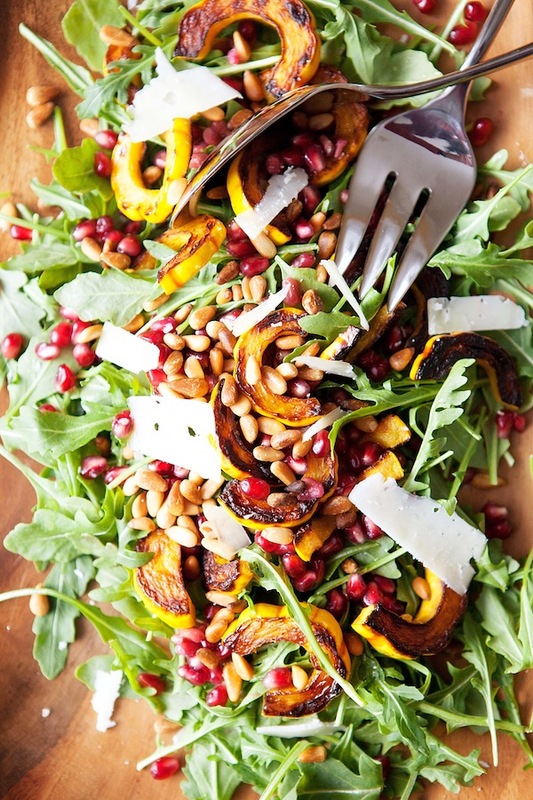 In a large salad bowl or serving platter, combine the arugula with the squash and pomegranate. Add more dressing to taste and toss. Then, add the pine nuts. Use a vegetable peeler to shave pieces of cheese over the top of the salad (however much you want to use – somedays I use very little while other days I’m a bit more heavy handed). Toss again gently, and serve. Thank you! I hear you on navigating through snow. I love it though! Snow makes the winter so much brighter. I can’t even imagine what -43F must feel like… It’s currently -22C with windchill in Toronto (which means -7F in ‘Murican), and I seriously considered quitting my job just so I wouldn’t have to go outside. 🙂 Brrr. 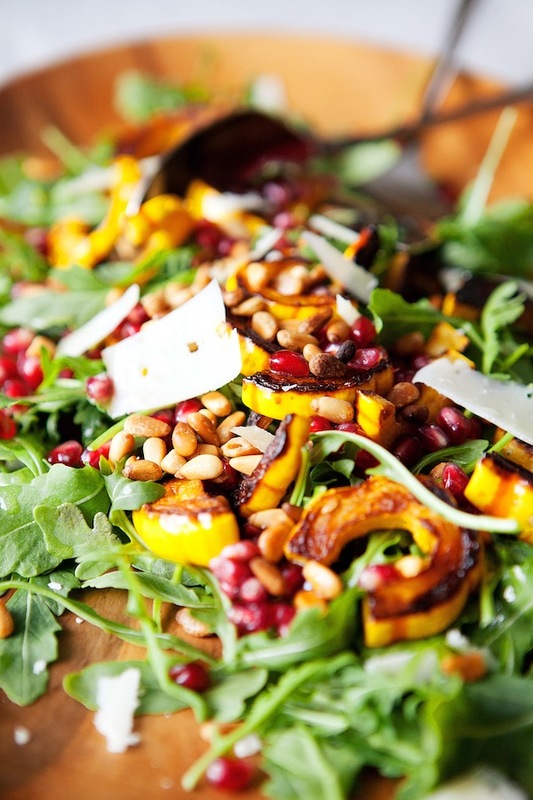 I’m just starting to learn to love wintertime salads, and this one sounds like it would hit the spot rather nicely. Love the colours and flavours you’ve combined here! Hahaha. We all need jobs that allow us to work from home by the fire some days. Winter time salads are their own beasts for sure, but I’ve definitely come to love them. I am so in love with the sweet/spicy winter salad right now. This looks like a meal in itself, with all the best ingredients. Hoping (always hoping) that this is the salad dressing that brings my kids around to salad. I make and enjoy something remarkably similar but with onion squash, pumpkin seeds and a pomegranate syrup dressing. I am also a fan of contrasting flavours and textures. Balance really. Lovely. And beautifully shot, too. I sm originally from Florida but have lived in Scotland for 25 years. It’s still a shock at this time of year. I think I have ‘thin blood’ as my grandmother would say. We are a hardy sort up here! I was out tromping today and it IS COLD but still beautiful. Activities must be kept short!! Loved your post! So beautiful out, it’s definitely worth it! Thanks Sonja. I can attest that this salad is amazing and have made it myself since visiting at x-mas. Although, I was kind of ‘winging it’ so I’m glad you posted it! Yay! Glad to be of service. Exactly! Happy accidents that stick are the best. Also, I love sitting in the hot tub when your hair turns to icicles. Though, we even get days when it’s so cold you have to wear a hat while you sit in the hot tub because your head would just get too cold without it! Gorgeous colors and food. Looks amazing. 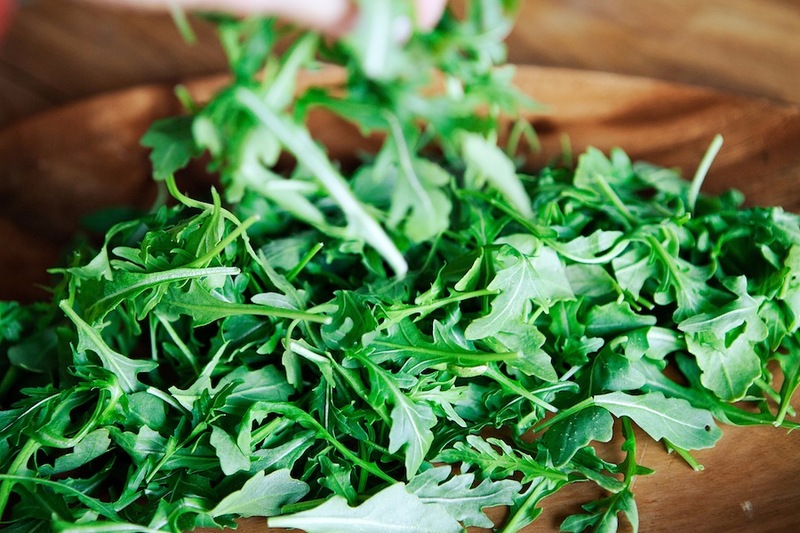 « Down to Basics: Stew & Co.
You are currently reading Arugula and delicata salad at Five And Spice.